Our retractable flyscreens for windows give effective fly control to stop and keep out flies, bluebottles, gnats, midges, wasps, mosquitoes and other flying insects. 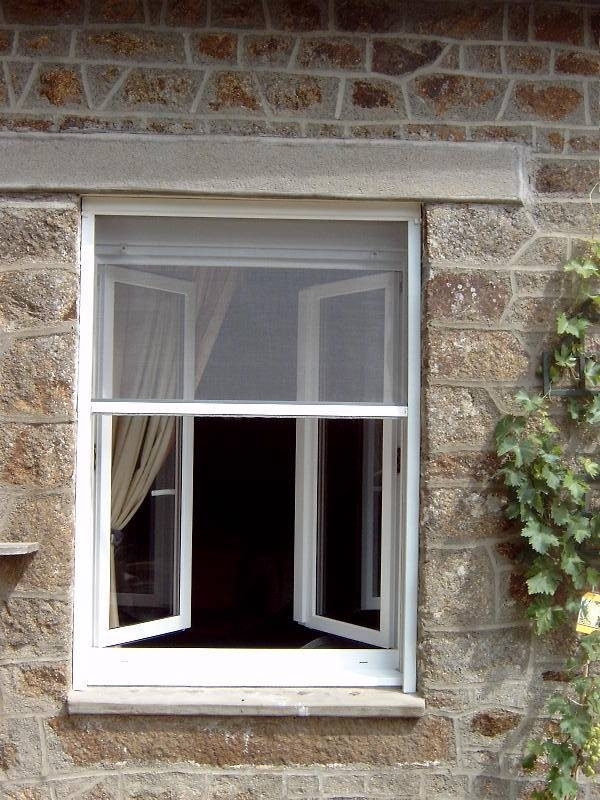 These insect screens are for use in a domestic, catering or commercial environment and will fit inward and outward opening windows. 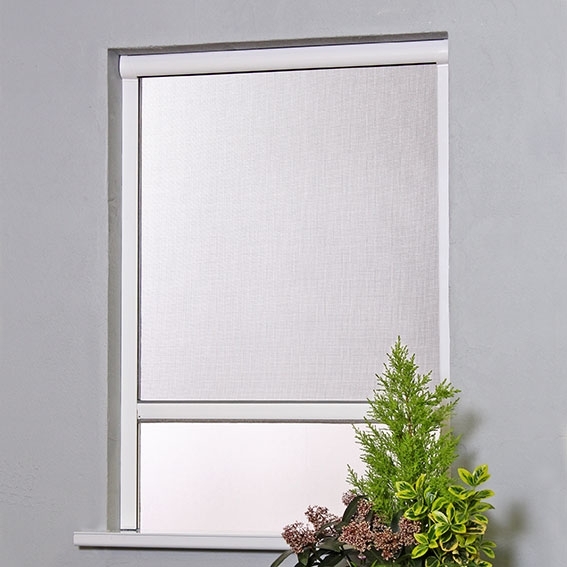 This Roller Blind Window Fly Screen comprises of a white, UPVC cassette box and side channels. These fit into the reveal of the window and not on the window frame.There is an aluminium pull down bar on the the strong flyscreen mesh for easy roll up and roll down of this bug screen.